The majority of casino reviews are unanimous in their opinion that the best casino games are ones that combine the convenience, speed, and affordability of casinos online; with the personable nature of ‘real life’ gambling clubs. And because we take feedback very seriously, Lucks Casino took heed and has assembled a world class selection of the best casino games with a live dealer. Add the fact that you’ll be able to use your welcome deposit slots bonus to play for real, there really isn’t much else you could look for is there? Don’t get us wrong, playing the online casino game versions that are software generated are just as much fun, and offer players just as many opportunities to win online real money. However, needs change from one day to the next, so Lucks Casino want your options to be flexible, so that your every mood is catered for. That said, live casino games include functionality that the standard online/mobile casino variations don’t. Play for real money the easy way, and use pay with phone bill casino to have fun and play cash games easily and securely. Minimum deposit using casino pay with phone bill is just £10, which is much better value than what players would receive in a real casino. The only disadvantage might be that when/if tables are busy, players have to wait for a seat to become available – just like in a real casino! The upside, is that they can socialise with other players via live chat during this time, and maybe even make new friends! As ever, players are reminded to take a look at our Promotions Page and keep updated with the latest casino deposit bonuses, and the best online casino cashback deals and incentives. 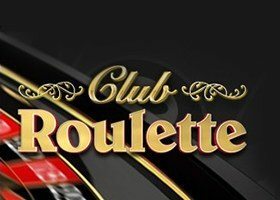 Not only will this ensure that you don’t miss out on anything, but also guarantees that each casino deposit is rewarded with a little something extra. So the only question now, is which of these excellent live casino games you’re going to play first?